After Cece helped sell my husband’s Cleary Court condominium years ago, his work took us to Los Angeles. But Tony Bennett was right: We left our hearts in San Francisco. We decided it was time to buy a property in the city and got Cece on the line. I can tell you that Cece is absolutely relentless in looking for properties that she thinks may be of interest to a client. I know this because my husband and I were extremely indecisive. We were hardly easy clients for Cece – every time she took us to see properties we would decide that they weren’t right or that we didn’t feel ready. That weekend she showed us eight properties, and we ultimately made the decision to buy a wonderful condominium North Beach condominium at the corner of Grant and Lombard. It was a great buy and I don’t know if we’d be able to get the same kind of property for the same price today. We love working with Cece. She’s enthusiastic, not in a way that involves pressuring someone to do anything they don’t want to do, but about what her business is. And that’s infectious. You really feel as though she knows the market and she knows what’s going on, and that makes a huge difference. We first worked with Cece in 1998 when she helped us buy our condo on Langton Street. From the moment we met her, we were taken by her honesty, sense of humor, and terrific personal vibe. When we decided to sell Langton Street eight years later and do a 1031 Exchange into a true live-work loft for our graphic design business, we knew we wanted her to represent us again. The first step was getting the Langton unit ready for market, which required extensive advance work. Tenants had left the place a disaster zone and cleaners, trades people and stagers were needed to get it looking as good as it did before. Our personal situation also posed challenges as we were now based in New York and travel a great deal internationally. Our limited availability required Cece to manage much of the repair and preparation of the property herself and work remotely with us by phone and email during the marketing, offer, negotiation and escrow period. When we were able to speak with her personally, she always made us feel at ease and confident in how things were moving forward. On the buy-side, Cece also made sure to leverage the days we were in town to our best advantage by making sure we saw the absolute best properties for our needs. 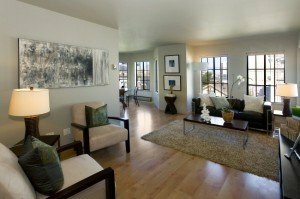 Ultimately her network of agent and personal contacts helped us find us the ideal loft on Tehama at 5th before it hit the market. We made a quick, clean offer and are thrilled with the new space we now use as our West Coast office. She is exactly what we were seeking in a real estate agent. Knowing Cece for several years gave me the confidence to enlist her help when selling our two-bedroom Hayes Valley condominium in preparation for a move to Wisconsin. My husband and I were nervous – moving wasn’t an easy decision for us. However, the first time we spoke to Cece about selling our home put us at ease. 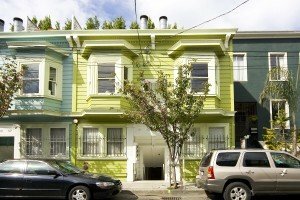 She came beautifully prepared with a detailed marketing plan and an organized, efficient strategy for selling our San Francisco condominium. More than that, she knew how to mesh with both my husband and I, despite the fact that we have very different personalities. Charming, high-energy, funny and very frank, Cece understood exactly how to engage both of us in ways that made us comfortable. – Authority – when you’re working with Cece, you know everything is moving according to plan and you’re clear on who’s doing what, or what you need to do, every step of the way. When I lost my job, Cece met me for coffee and gave me some amazingly helpful advice about blogging, social marketing, and getting the word out. I wasn’t surprised – she’s just that kind of person. Cece doesn’t just provide real estate information. She gives her clients information that can help them in many other aspects of their lives.She blends new marketing methods such as social media with the classic approach of building and maintaining long-term relationships with people. Unlike the other agents I have worked with, I have no fear of losing touch with Cece. We’ve maintained our relationship, and we’re going to use her when we move back to San Francisco! I returned to the Bay Area to finish law school in late spring with the goal to find a place before school started. With a tight time frame and extremely challenging price range, I knew I’d need an agent who would hard on my behalf . When my parents recommended Cece to me, I knew I had found that agent. She immediately got started with finding potential properties and was quick to provide any answers I needed. Cece also walked me through several different offers. Our first bid was on a new studio condo in SOMA, but we couldn’t come to terms with the developer. 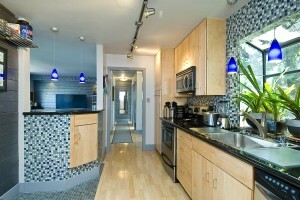 Our second offer was a distressed property at The Palms, also in SOMA. That too was rejected. By now some agents might have grown impatient with my low price point, but Cece was great. She was happy to visit properties with me, which was especially valuable since this was my first real estate purchase. Her persistence paid off when we found a beautiful Victorian condo north of the Panhandle on Divisadero. It had so much incredible detail – high ceilings, bay windows, hardwood floors – and only one problem. The seller had just accepted an offer from another party. But Cece had a hunch that the property might just open up, and she kept in close touch with the listing agent. Sure enough, the home fell out of escrow and we brought in a backup offer. When it came time to negotiate the exact terms of the deal, she was very protective and made sure that all of the right clauses were in the contract to protect my interests. She was very honest with me in terms of what she thought my chances were, what a good offer would be, and where we could start the offer and how we could negotiate it. Today I live in a great place in a wonderful neighborhood – and I have Cece to thank for that. When I was younger, Cece worked with my parents on the sale and purchase of investment properties. When it came time for me to make my own real estate purchase, father had one piece of advice: Go with Cece. When we first started working together, I was renting a Victorian flat on Guerrero Street. Cece knew I loved the Mission District and I knew I wanted to buy a home there. What I didn’t know is how much patience buying real estate can take. 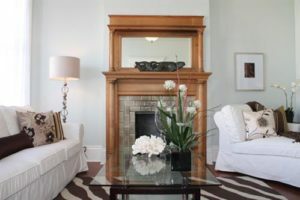 We started with an offer on a sweet large Victorian one-bedroom condo but didn’t get it. With Cece’s encouragement, we kept looking. 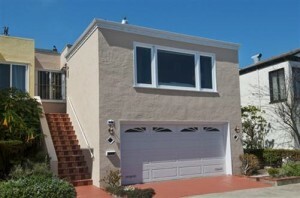 She eventually arranged a showing of a dramatic new tri-level condo on Hampshire Street. It was completely different from what I originally pictured myself living in, but Cece saw how this home design made my eyes light up. 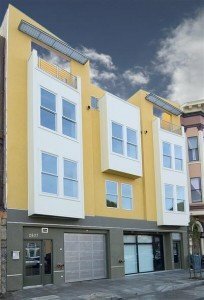 Together we sought out a comparable home – and we found one on 24th Street in the Mission. That’s where Cece really helped me hang in there, since the home was a short sale and we had to wait until the lender approved the offer. And wait. And wait some more on tenterhooks until escrow closed six months later. Cece really shone during this time. I learned how focused and informed she is. Casual yet professional, she thoroughly understood a short sale’s mechanics and took the initiative to push the process forward. With her engaging personality and great sense of humor, she made me comfortable with constant reassurances that everything would work out in the end. I so enjoyed working with her. Dad you were right! I always knew what I wanted in a home: to be able to pull into the garage, walk into my home, and leave the groceries in the car knowing they were safe. Cece didn’t just find that house – she found a home where I picture spending the rest of my life. When I met Cece, I was living in a Civic Center condominium. It was a very urban location and I was ready to get into a neighborhood that felt more settled and peaceful. 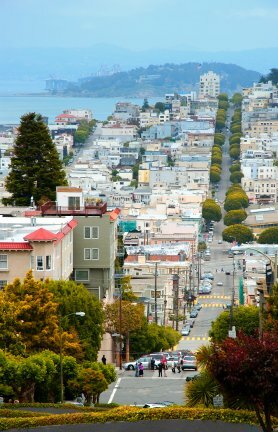 All I needed to do was describe what I was looking for and Cece had a house in mind: a home on Cragmont, a tucked-away street in Golden Gate Heights that you wouldn’t even find unless you were looking for it. When I saw the house, I knew I wanted it. I felt grounded there and my family lived right around the corner. We closed escrow just 31 days after I’d first met Cece and I was ecstatic: Everything converged in order to make this happen for me. Cece reassured me throughout the purchase by promptly returning my phone calls, arranging numerous appointments around my busy schedule, and consistently bringing her positive energy to each meeting. Her ability to listen to her clients put my mind at ease, and I couldn’t have been happier with the process. I look forward to working with Cece in the future.